Company Store Support and Your Success! Customer Support has always been critical to nurture relationships between customers and organizations in all walks of business; including the promotional products industry. 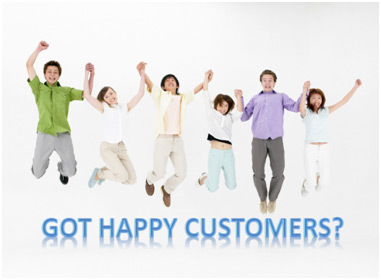 For this reason, BrightStores has put together an amazing team of Company Store Experts that not only offer you outstanding customer support, but also go above and beyond to ensure your success in building and maintaining your store. BrightStores offers a large variety of company store features for a variety of Company store needs and requirements. Many times I find that clients are not always aware that their store can function differently simply by enabling certain features. Do you want to have the ability to control what payment options or categories are available to users shopping in your company store? With our Permissions feature you can do just that; control user permissions in your store to limit various options and allow certain categories of products to be viewed and purchased by specified users. A great example of Permissions in use would be in a store that offers different products and pricing options between Managers and Employees. You can set the store up so that once a user logs in, it will recognize them as a Manager or Employee and display the appropriate options for that user. As you can see, the Permissions feature is a very powerful tool that holds a number of capabilities. Our support team is happy to explain them to you and teach you how to utilize the Permissions feature in your own store. If you haven’t done so already, please don’t hesitate to reach out to our support team anytime with questions. We will be more than happy to point you down the path to building your company store with ease. You can reach us at 303-800-1546 Ext 2, by submitting a ticket, and even through live chat!